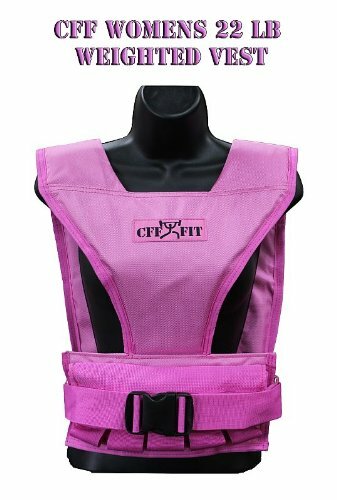 The “NEW” CFF Women's Pink 22 lb Weighted Vest was built with women in mind and the pressure that weights pressing down on their chest can cause. We have accomplished this by eliminating the front sides and only having material come down the center of the vest. When designing the vest, comfort and functionality were key. Because of how the vest is set up, the shoulder straps are wide enough to have the padding you need without losing your full range of motion for your arms. Weights are 2 lb iron blocks (10); each weight fits snugly in the vest pockets to eliminate as much movement as possible; Each Vest holds a maximum of 22 lbs. Low-chest belt for maximum hold no bouncing and no shifting.